Apple iOS 8.0.1 software update: Major bugs hit iPhone 6, 6 Plus. 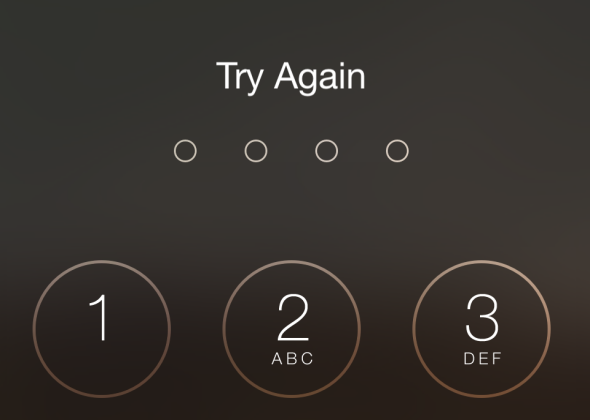 iPhone 6 owners who downloaded iOS 8.0.1 reported problems with cell service and Touch ID. On Wednesday morning, Apple pushed out a software update for its iPhones, encouraging users to upgrade to iOS 8.0.1. By Wednesday afternoon, the company had pulled it right back following a cascade of complaints from customers. It seems the new software led to a slew of serious bugs for many who downloaded it on the iPhone 6 and 6 Plus. According to 9to5Mac, users reported problems with both the Touch ID fingerprint sensor and cellular service—only two of the device’s most basic and important functions. When I tried to replicate the problem on my 6 Plus at about 2 p.m., I found that the update was no longer available. This suggests Apple has realized the update was a steaming wreck and is now in damage-control mode. The update was meant to fix a laundry list of minor problems with iOS 8.0, which the company released to the public a week ago. But the cure in this case was worse than the disease. It’s not at all uncommon for large-scale software updates to include bugs of one sort or another. Making every function work perfectly on every device in every situation is virtually impossible. That’s why tech experts often recommend that the average user wait for the second or third release of a major new software package before downloading it. For a company as large as Apple to botch an update this blatantly, however, suggests an embarrassing breakdown in the company’s quality-control mechanisms. After all, this was the second iOS 8 release—the very one that experts would have recommended that you wait for in order to avoid the inevitable bugs in 8.0. Few will be surprised if this ends up costing someone at Apple his or her job. Remember when President Obama tried to quell the uproar over Healthcare.gov’s technical problems by comparing it to the launch of new Apple software? It was a clever bit of misdirection at the time, comparing the government’s fatally flawed system to the little imperfections in one of the tech industry’s most admired products. The comparison is looking a little less flattering today. For those unfortunate users who downloaded iOS 8.0.1 before it was pulled, CNET has a handy guide for restoring iOS 8.0.